Today’s song of the day is actually from an album that was just released today and one which I have been waiting for quite some time. The artist’s name is Holly Miranda and the song is titled Waves. It is moody, atmospheric, and dreamy; all of these qualities I like in my music. I won’t say hear that she sounds like Cat Power because I am sure everyone else has or will. 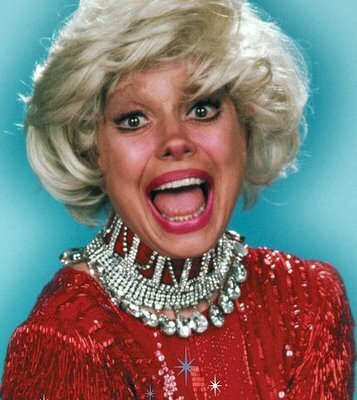 I will say (erroneously) that she sounds like Carol Channing. But not at all. The name of the album is The Magician’s Private Library and it is well worth a purchase. If you want to sample it beforehand, head over to Lala and you can listen to and download the whole album. Listen first, but I almost guarantee you will buy at least a song. On a side note, I am starting to fall in love with Lala as a browser-based alternative to iTunes. Please do not tell Apple as everything else I own (and love) is Mac or Apple based. If they find out, they might detonate the self-destruct mechanism I am certain they have embedded in my MacBook somewhere. And my iTouch. Lala provides a slight advantage over iTunes in a few different ways. Lightweight. No large downloads, nor multiple iterations like iTunes. Browser-based so quite zippy. Full song preview. If you sign in, you can listed to the whole song all the way through once. Price. 89 cents per download, or 10 cents for online download. The latter basically means you can access it anywhere online, but just can’t download it to your iPod. Or maybe you can, haven’t actually tried it yet. Doubles as streaming media player. Can be used to be play music as you work with other sites. Blue interface. Easy to use and a lot of the color blue. If you are me, that is a plus. So, Holly Miranda is a joy and you should go purchase her music. She is Brooklyn-based, but then again every musician in a three-state radius around Manhattan is. Apparently, the whole borough is a musician’s commune. Even bands who only nominally reside there are Brooklyn-based. Some even doubling as taxonomists and digital librarians in New Jersey in their waking hours. The horror. Holly Miranda. As far as I know, she isn't a digtial librarian/taxonomist from New Jersey.